From Analog TV to Digital TV? Obviously, the majority of the people in the world, who own an RV, Motorhome or Camper do not have a brand new Rig filled with the latest technology appliances. And, considering the advances in Television and Satellite technology over the past several years, pretty much everyone can find an upgrade of one kind of other that they could consider installing in their RV. As I travel to Campgrounds around the country, and take a good look around, the vast majority of the people camping there are in units that range from a couple of years old to some that are over ten to fifteen years old. And, if you talk to them, they are generally quite happy with what they own as well as with the technology of their television service and equipment. But, time is not on their side. As the technology of television entertainment evolves, they are going to find it more and more difficult to receive and watch television shows and news. The biggest thing that shook up the world of RV television service in decades was the nationwide changeover to Digital television transmissions. As everyone knows, in order to forestall a nationwide revolution, the Federal government did demand the development and sale of cheap Digital-to-Analog converter boxes. This way, the American public could purchase one of these boxes and install it between their antenna and their old Analog television, and continue to receive their favorite TV shows. Their Analog systems had limited access to a limited number of channels. As the Analog channels were shut down, they had to rely more and more on their Digital Converter boxes or eventually decide to dump their old Analog TVs and purchase a new Digital TV. Which generation of TV technology do you have? The problem for the people who own older RVs and Campers, is the fact that all of the equipment, as well as the power and signal cabling in these Rigs is built into the cabinetry and walls. No space is wasted in an RV, and your TV was installed into the cabinetry that was customized for the older TV designs and dimensions. Also the old technology of wiring for the TV's power, received signals and even the cabling to the Antenna was also built into the walls of the RV. This outdated customization is what usually turns into the biggest problem for the RV owner who wants to perform a TV upgrade, and it often requires some serious planning to get the right connections to the right places in the RV. So, ...... If you are thinking of upgrading your RV or camper's television service, you need to consider the total costs and amount of work you may get into, before you start. To avoid unexpected problems, the first thing that you need to do is take the time to crawl around in your RV for a little while, checking out how it is wired. Then you need to take a serious inventory of what level of service, and especially cabling you already have installed in your RV before you consider which upgrades it makes sense for you to install. Check where, on your roof your TV antenna is located, and then check where does the coaxial cable, connected to it go after it goes into the RV. And while you're up there make sure the exterior cable and it's connector is in good condition. Then go back inside your RV and check exactly where the cable from the antenna goes, once it is inside the RV? 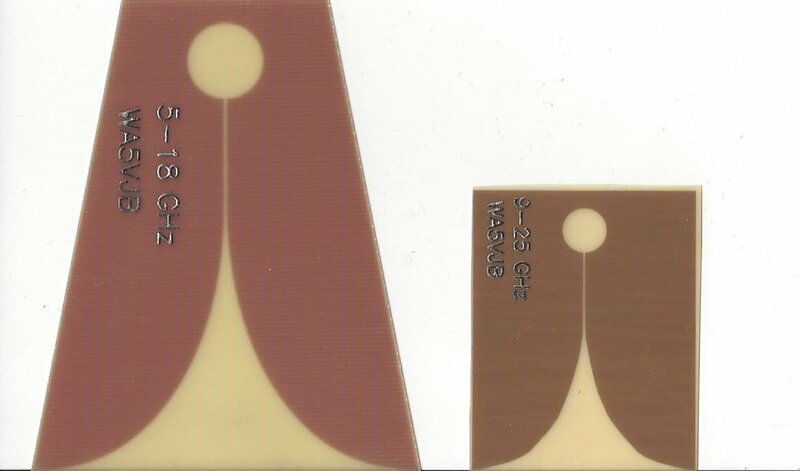 Is you RV Antenna from the "pre-digital Era"? By that I mean, was it on your RV or Camper before they started talking about Digital TV? If so, then the antenna itself probably has a built-in amplifier/filter circuit. This circuit was designed to enhance the old Analog signals and filter out all other interference signals. But be aware that Digital Channels utilize slightly different signal frequencies; they're very close to the Analog frequencies, but still different. Your old analog Antenna has a built-in amplifier for the old channels and by replacing the antenna with a new one, you will get one whose amplifier will give you stronger Digital channel reception. Depending on the manufacturers design you can usually get a replacement antenna head for around $50 or so. Does your RV have an Antenna Panel in your cabinetry with a connector labeled "from Antenna" that is the size and shape of a wall outlet cover in your home? And does it have a little red or green LED light on it? Well, if you pull the screws and look at the back of the panel you might see that there is a small circuit board there. 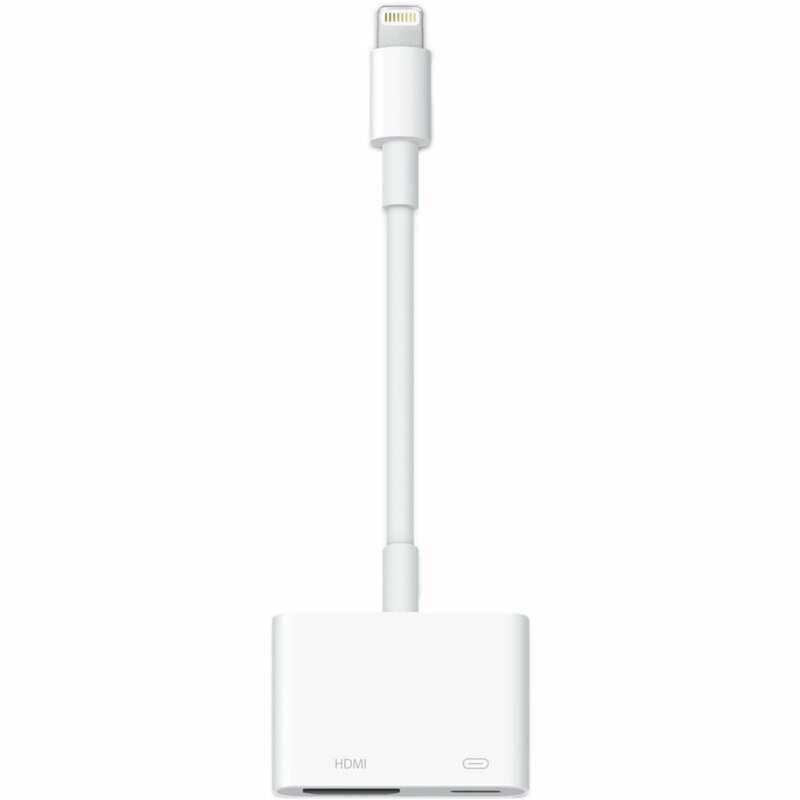 If you have this then you probably need to order a new one that, like the old antenna, was designed for Analog signals only, and you should replace it with one that also amplifies Digital signals. Most RV's have a video Selector box which allow the owner to direct their TV and other video equipment to multiple TV's in the RV. If you have a Video Selector Box, does it have an LED light on it, and possibly a Power-on/off switch? Again, if this box is an older one, the fact that it has DC power run to it, implies that it also has an amplifier circuit in it, and again, like the other older equipment, it probably needs to be replaced with a newer one, for better signal reception. Older Video Selector Boxes use coaxial connections and have coaxial cables running to your different TVs. Check that the cable to your Bedroom TV is in good condition and if possible, trace the cable back to the bedroom and assure that it is not crimped at any point along the way. This can really reduce your signal quality and bandwidth to that TV. NOTE: Having a weaker signal at your Main TV or your Bedroom TV is a common problem for RVers, just from the normal loss of using a longer length of coaxial cable. So, if you do any rewiring, make sure that all of your coaxial cables are as short as possible and are in good condition. Analog "Snow" versus Digital "No Signal"
In the old days of Analog-only TV Signals, you just had a little more "snow" on your picture when the signal was weak. But with Digital signals, either your Digital TV has enough signal to decode for a GOOD picture, or it goes totally black and some TVs give you a "low digital signal" error on your screen. Or, if you are getting your signal through some tree limbs and leaves that are blowing back and forth, you might get those colored squares all over your picture or you might get a momentarily "frozen" picture. After you have checked out these things you can move on to what you feel you want to add and upgrade. OK, I am a Techno-Geek. I have been since I was eleven years old and rewired my Mom's Washing Machine to make it run faster. It did run faster, for about a full minute. That's how long it took for my wiring to get hot enough to melt the insulation and cause a major electrical fire in the control panel of the Washer. Analog TV Signal- Analog TV signal is comprised of one base TV frequency that is Analog modulated with one set of Audio and Video signals. When your Analog TV demodulates these signals the user will receive the one set of Audio and Video signals. There can be only one set of Audio and Video received for each base frequency used. Coaxial Cable- A Coaxial cable is one that is designed to provide accurate signal (impedance) matching to the equipment at both ends of the cable. Typically, it is designed for higher frequencies which are more susceptible to distortions and noise in the equipment it is used with, if the proper matching is not performed. Coaxial Splitter- A Coaxial Splitter is used to allow the user to take a high frequency signal, like that from an Antenna, and split it in order to send it to two or more devices, like TVs. Although a Splitter actually splits the signal level in half, the lines are matched properly to reduce any addition signal loss or signal distortions to a minimum, because all connections are matched properly. Digital TV Signal- Digital TV Signal is comprised of one base TV frequency, just like with your old Analog Signal, that is digitally modulated with multiple groups of Video and Audio signals. When your Digital TV demodulates these signals in it's Receiver, they are separated into the Audio and matching Video for multiple digital channels. This allows the TV stations to provide more entertainment shows to the user without using any additional base TV frequencies. HDMI- High Definition Multimedia Interface. This is a connector that you will find on the back of your new High Definition Television. In order to provide all of the appropriate connections between an HD Receiver and an HD TV, this new cabling standard was devised and accepted by the TV industry. The typical cable is only six feet long in order to guarantee there is no degradation in the HD signals that are passed through this type cable. There are some cable extenders, but usually, only another six feet long. HD or High Definition TV- OK, here I can go through a lot of detail in explaining the differences in Digital television and the levels of picture definition. Simply put, you should put it into your mind that SD or Standard Definition TV is a digital picture with a definition of 480i. And you should consider HD or High Definition TV as a digital picture with a definition of 780i or higher. If you accept this you can go along happily looking at TV's and DVD Players and Satellites with an educated eye. 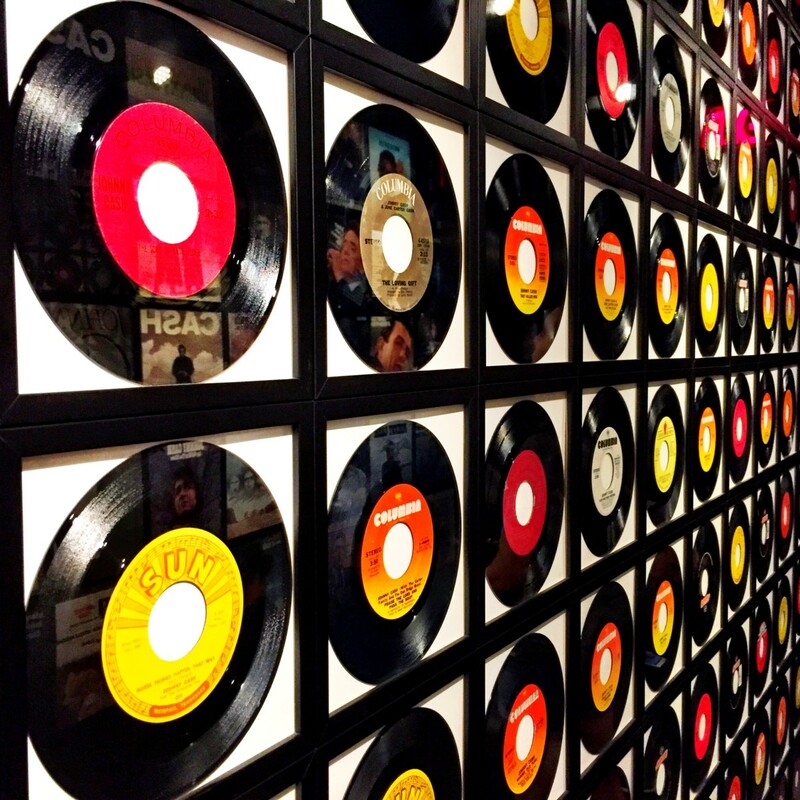 Otherwise, you can go to some of the sites I list here, and drown yourself in techno-babble. Video-Analog Cable- The standard Video-Analog cable is more familiar to people. The standard is a combination of three cables with colored connectors at both ends. The standard is for the Yellow-tipped connectors to be the Video cable, while the Red and White tipped cables are for making Stereo Audio connections. In the more costly versions, the Video cable is larger and is actually a shielded coaxial cable. Video Switch Box- A Video Switch Box is pretty much a standard device on most RV's and Campers. This box is used to allow the proper distribution of Coaxial Signals from equipment such as Antennas, Cable Service, DVD Players, and Satellite Receivers, through the selector switches to multiple TV's. The standard is a 5-to-3 box. This means it allows the user to distribute the signals from five signal sources to three different devices. YPbPr Cables- This is a cabling standard for the distribution of three separate signals for Video, that when re-combined are capable of providing a certain level of HD signal for a TV. These cables are similar to the Audio-Video cable mentioned above except that they are coaxial and the connector standard colors are Red, Blue, and Green. One thing though, if you want to connect using YPbPr cables, remember that they are for Video signals only, and if you look around on the back of the signal source and the TV, there is another pair of Audio connections that you must also connect to the the associated device signal along with the video. These are very simplified explanations for the Layman. OK, let's say you did your inventory, and are looking at performing some upgrades. And you are looking to do them yourself to save money. I obviously cannot cover every possible combination of Receivers, Antennas, and TV for every RV ever manufactured in this discussion. But, I can give you some suggestions for what I consider the higher probability situations. RV Roof TV Antenna- How old is the TV Antenna on your Roof. Almost all of them are the Winegard design that you can crank up and down, and turn in a circle until you find the best TV reception. All of this, from inside the RV. With Digital TV, you cannot afford to have bad cabling or connections from your Antenna to your TV. Check the cable as best you can both on the roof and inside the RV. If the round Coaxial cable is mashed flat, or if the outer insulation is cut, or if the connections are corroded, loose, or frayed wires are showing, you have problems. The cable should be replaced! And, I suggest that, if you are considering this, you should, seriously consider replacing the old Antenna itself with one of the newer Digital Signal Compatible Antennas at the same time. You will find that the newer HD antennas for your RV will provide stronger signal strength in the UHF frequency spectrum, and this is where the new Digital channels are transmitted. Even if your antena is only a couple of years old such as the popular Winegard model,you should consider getting the bolt-on UHF Booster antenna. 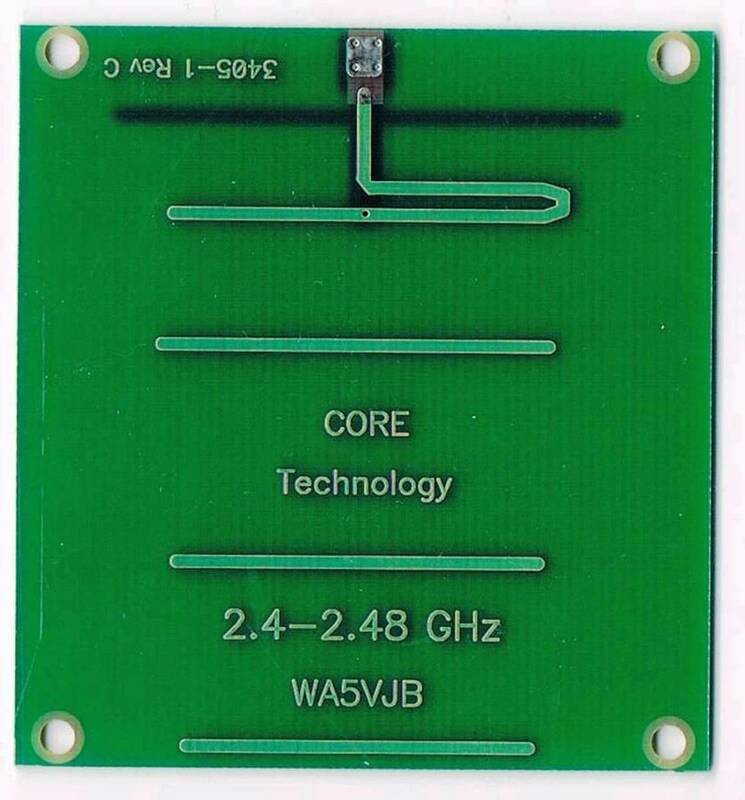 It is relatively cheap, and provides stronger UHF signal. Antenna Signal Amplifier/Booster/Filter- Yes. you most likely have one of these. Look into the cabinet where your electronic Receivers, DVD Players, Video Selection Box, etc. are mounted. On one of the walls you will see a wall-plate with a Coaxial connector, a small Green LED Light, and a ON/OFF switch are mounted. If you remove the screws, and pull it away from the wall, you will notice on the back side that this is where your external Antenna cable is connected. It has a cover that protects a Signal Amplifier. You should purchase a new one of these assemblies that is compatible with Digital TV signals. It will improve your TV reception, especially for Digital TVs. Also, don't forget to turn this Amplifier on (the Green LED will be lit) when you are using your TV. The amplifier will allow signal through the circuitry even when turned off, but it is not amplified and filtered for strong signal, when turned off. 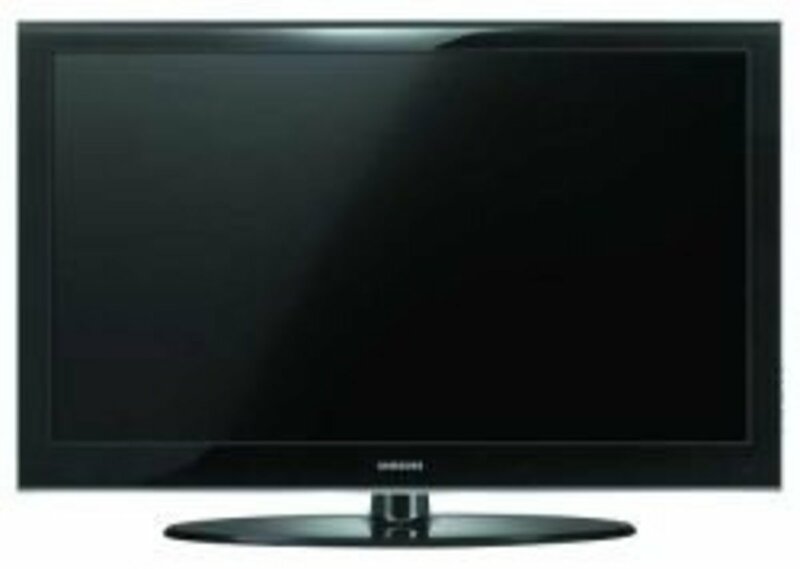 At some point, you will consider replacing your old Tube type of Analog TV with a Digital Solid State High Definition TV. I've done this with both a front TV and a Rear Bedroom TV in one of my RVs. IF done properly and with good pre-planning, it's actually not so hard to do. As I mentioned earlier, your TV is in all probability built into the cabinetry of your RV. Some are already up front and above the Dash, while some are built into the Dash. Your first decision that you need to make is: Do I remove the old one, and purchase one that fits into the same mounting area, with only a little bracing and trim work needed? Or, do I turn the old TV site into a new storage area, and mount the new TV onto a Flip-down ceiling mount, for instance. Or, in some cases, install a Flip Up Dash Mount TV. Take a day, and carefully remove the existing trim-work from the front of your old TV, and pull the old TV from the hole. Examine the hole's interior carefully and write down every thing you see in detail. Is there a Coaxial Cable attached to the back of the TV or a 3-cable connection? What are the exact dimensions of the hole; Width, Height and Depth. How is the hole ventilated. Remember many Solid State TV's generate a lot of heat and must be adequately vented. Is the bottom strong enough to hold a Solid State TV base firmly, even when traveling on a bumpy road. How do I brace the back of a Solid State TV so it will not flip forward or backward when driving down the road? Then, check over your notes and measurements carefully, and put the old TV back, leave the trim off, and sit down and start your mounting and trim re-design. Keep up with the latest products on the market. With all of this that I have written here, in mind, when you are ready to upgrade, you need to review the physical characteristics of the new Digital TVs that are on the market at that time. The TVs out there are much thinner and amazingly lighter than what was on the market just a year or two today. In fact the new LED TV designs can be less than an inch thick. When you consider the weight and thickness, you may end up with a whole new set of places in your RV that you can mount your TV. And, of course, your can have a whole new set of mounting options available to you. I shopped and found a TV that barely fit into the hole's Width and Height. I went to a Lowes store and had them cut a piece of 1/2-inch thick plywood for me, to mount my TV's plastic base to. This helped distribute the TV's weight over a larger area of the hole's bottom. I had another piece of 1/2-inch plywood cut, the appropriate size to mount behind the TV. I glued another 1/2-inch of a quality packing material onto the plywood, for use as a physical bumper for the back of the new TV. I attached this piece of plywood to the two side walls, at the point where the TV, when it was installed, it would push against this "bumper", thus eliminating the chance of the TV flipping backwards or vibrating. I mounted the plywood base to the TV base, and in turn slid it into the appropriate position on the bottom of the opening, before mounting it to my wooden base, with screws. I mounted the original Trim back into place, after I had glued pieces of the same quality packing material on the inside edges of the trim, so that it pressed on the front edges of the TV frame. This combination of front and rear "bumpers" eliminated any front or rear TV motion when traveling. This changeover was still working well, without any problems, a year later when I traded the RV for a new one. Do you have one or more Satellite Receivers in your RV? Do you want to add one or more Satellite Receivers in your RV? What type of Satellite Antenna do you use? First, let's address the Satellite Antenna options. Basically there are three types of Satellite antennas that cover what is used by the vast majority of RV and Camper owners. The cheapest way to receive Satellite signals is to purchase an external Dish-type Antenna. You can sit it on the ground, near your RV, and with a little knowledge of where the actual Satellite is positioned in the sky, you can align your Antenna yourself. The simplest alignment procedure, is to connect a cable to your receiver in your RV. Then, you move the Antenna around, until your Receiver starts to emit a certain tone. At that point, you can secure the antenna in that position, and go into your RV and enjoy your favorite movies and/or TV shows. But, to be honest, it is the rare person, according to what I have seen, that executes this process accurately or quickly. Often, I have seen people take an hour or more to get this type of Antenna aligned properly. Satellite Signal Meter - These are popular with many people as they will indicate a properly aligned antenna by displaying the presence of a Satellite Signal Level. Tripod Base- It doesn't take long before realize that you need a firm, steady, and level, spot to mount your external antenna. These Tripods help in the alignment process, especially if you have one with Bubble levels. Your antenna will be level, and, it will have a steady mount in wind and other weather conditions. Flat Coax Cable - Often, if your Camper or RV is not pre-wired with a satellite connection in one of the external compartments, you will end up running your cable from the external antenna to the Receiver through a window. If you do this a few times, invariably, you will close the window and crush the cable. This will reduce your signal level significantly. If you use a piece of special Flat Coax, you can avoid this problem. There are some very nice self-contained Satellite boxes that you can purchase, that include automatic satellite scanning and lock capability. You just set it on the ground, or roof of your camper when you get to your campsite. Then you connect the RV's antenna and power cables to the box and abra-cadabra you have satellite signal. The thing is, these are a pretty expensive solution, and the price is close enough to a fixed roof dome antenna,that you should weigh each option carefully, before spending this kind of money. Roof Antenna, Fixed Reception- This is the most popular type of Satellite antenna, used on RV's and Campers. These have electro-mechanical drive systems, and are capable of finding and locking on to the appropriate Satellite signal utilizing a feedback signal generated by the Satellite receiver. It can be a Fold-Down Antenna, or it can be a self-contained Satellite Dome. Either one uses essentially the same electronics. These antenna systems have a LNB or Low Noise Buffer on the feed arm of the antenna, that amplifies and filters the received signal that bounces off of the Dish itself. The newer ones have two or even three of these LNB's, and each LNB has a separate cable that runs into the RV or Camper for signal distribution. The thing you really need to do is, somehow, determine the age, the Model# and the serial number of your Dome antenna. Use this information and contact the manufacturer to determine if the antenna system (essentially the LNB's) is capable of being used for HD signals. Many are not capable, and you may end up replacing the whole antenna assembly. 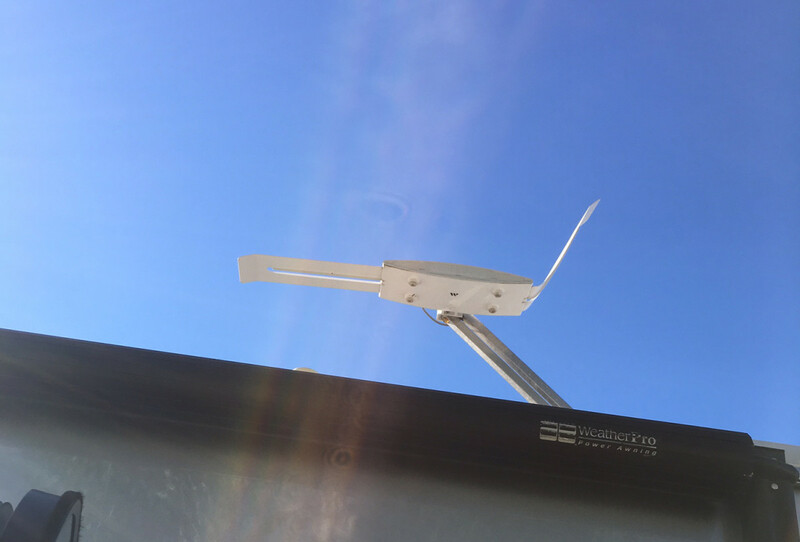 Roof Antenna - Tracking- This type of antenna, is the same as the fixed antenna, but it's drive system is a faster reacting system, and is capable of tracking the Satellite while you are driving the RV down the road. Most of the time! The Satellite Receiver itself- Whatever Satellite system you use, whether Dish or DirecTv, or whomever, you must be sure, if you decide to upgrade, that you get to inspect the new HD box and all of the available connections. The reason I mention this is the fact that I had recently purchased a new HD DVR receiver from DirecTv. My intention was to upgrade to HD in my new RV, which was supposed to be totally HD. The reason I didn't catch this problem when I purchased my RV, was that my old RV had an SD DirecTv receiver in it, and I let them just hook it up for me, until I got a chance to purchase a new HD box. Well, one of the things that DirecTv did, recently was re-design their receivers. They added an HDMI connector on the rear of the receiver. I though this was OK, as I had already checked, and my New RV's front TV had an HDMI connector on it. No problem ..... right? They also eliminated the Coaxial Signal output connector on the box. Well, I have two other TV's in my RV, one in the Bedroom, and one in one of my outside storage compartments, for watching TV when you are enjoying the evening outside your RV. 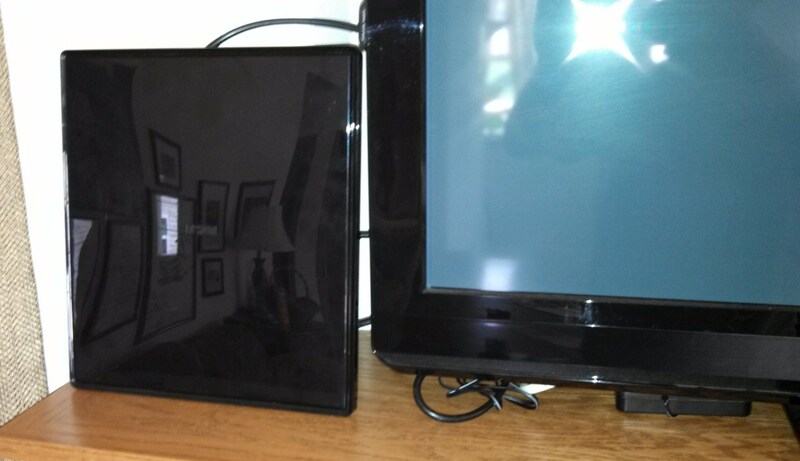 Both of these TV's are pre-wired, via Coaxial cables back to my Video Distribution Box in the front of the RV. The problem is I no longer have a Coaxial signal connection from my satellite receiver to connect to this distribution box. 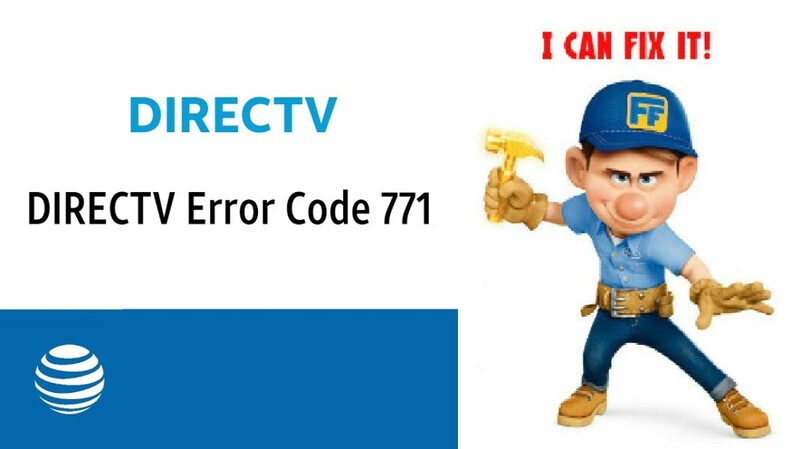 I called DirecTv, and got a "Whoops" and a "Sorry about that", but no solution. They had no suggestions for me other than a major re-wiring of my RV. I mention this problem so you will not get caught like myself, making an investment in equipment that, when you get it to your RV, has this kind of incompatibility problem. And, if you found this article helpful, you can find it and dozens of other articles for RV owners and operators in my book DONS RV INFO. It has valuable reference data on RVs as well as numerous helpful tips and instructions on the operation and maintenance of your RV. Check it out. Probably the most popular Satellite antennas used by RV owners these days are the portable auto-scanning dome designs. First of all, these antennas have been simplified to the point that often you can just place it outside your RV with a clear view of a section of open sky, and the receiver box will control it to find the strongest signal for the receiver, and lock down there. Both DISH and DIRECTV have designs of auto-scanning domes available on the market, at relatively cheap prices and they do work very well. So, I am seeing a lot more RV's with older technology roof domes and roof antennas on them not being used; while I can see them using one of these cheaper domes. So last year we bought a King Quest as we have DirecTV. Now I find out that it does not pick up HD so now it is obsolete. Is there something we can buy to convert it? I hate to tell you that your antenna is obsolete and will not receive and decode the new format of Directv HD. HD TV signals use up a wider bandwidth of data, and the old antennas are not capable of handling this type of wider data transmissions, or the signals from multiple satellites. The older antennas use on cable for one LNB (receiver) in the antenna, and to receive multiple signals from multiple LNB's (pointed at multiple satellites) you needed a coaxial cable from each one to the receivers to your RV receiver box. To get around this problem, they came up with the concept of using a pair of boxes that multiplexed the signals from multiple LNB's at the antenna end and demultiplexed the signal at the other end at your RV receiver box. So, with the new design, the antenna LNB is a different design from the old design that you have. So, if you want to receive the newer formats, then you will have to upgrade. Whew! At first glance, your problem looks big, but let's do this; I will describe a standard TV/Antenna/Video Selector system and maybe that will give you enough information to get yours going. 1- Is your TV DIGITAL or an OLD Analog one. If it Analog, then replace it with a digital one with a coaxial input as well as at least 2 HDMI inputs. 2- There should be a coaxial cable/connection in the wall that comes directly from your roof antenna. This goes to your Video Selector box connection labeled Antenna. This coaxial also carries 12-VDC to the booster amplifier built into your Antenna, this voltage comes from the source connected to your Video Selector Box. 3- A coaxial cable from your FRONT TV coaxial input should go to your TV-1 Output on your Video Selector box. 4- A coaxial cable from your BR TV should connect to the TV-2 Output of your Video Selector box. 5- Is your DVR digital and have an HDMI output connector, or a coaxial connector? If it is Coaxial then throw it away and get a nice High definition digital one with an HDMI output. Connect this connection to one of your HDMI inputs on your Digital TV. The Video Selector box will have a 12-VDC connection and you should have a pair of wires that plug into a matching connector on the Video Selector box, If this can be done then the Video Selector box has a built in RF signal booster built in and is powered by your 12-VDC. I am guessing that the two gray cables coming from your wall are one being the cable to the antenna an the other being the cable to your BR TV. Anyway, go over this information, look at what you have and connect what I have told you. As to the RF Modulator? That was a solution for people with the OLD Analog TV's in their rig so they could look at Digital signals and if you replace your TV with a Digital one this problem goes away. Don, I turned booster on and went to roof of MH it had 9VDC. I replaced the wiring from antenna to the booster with new rg-6 cable and waalaa I can now pick up 23 channels. Thanks so much for educating me on the ins and outs of rv wiring. ferg32 - If you put a booster in between the antenna and the TV's then it must also provide 12VDC to the amplifier in the antenna. Hook everything up and check for 12-VDC at the antenna end of the cable on the roof. Take care not to blow the inline fuse when you do this. I had to replace mine a couple of times because I shorted across the cable with my multimeter probe. By this point you are probably frustrated, but calm down, and remember one thing; it all worked at one time, so if there is a problems now, it's something new. And, remember that batwing antenna is directional, so hopefully there is nothing in its way. And, honestly, if you are within 25 or less miles of a decent sized city , you should be receiving a dozen or more digital channels if you have a clear line-of-sight to that city. There is only one coax on the roof to the Winegard and I connected a cable to that one and pulled it from roof through door to inside checked it against the two in the framework behind cabinets of the Motorhome. That is how I figured out which one had continuity and used the same process to other locations (bedroom, outside coax connections) to clarify which one to use. My guess for the extra cable in framework heading to roof is its to add some kind of satellite system??? I haven't found ends to three cables in the framework, so that is the confusion on my part. FYI... I'm fairly competent in electrical wiring, but this antenna issue has thrown me for a loop. MH is plugged into home base power and still not getting good tv reception. We previously had a travel trailer and when parking in this same location it picked up 4 channels I'm only getting one channel in the MH. I have not replaced the coax cable on the roof to antenna could that be the weak signal? ferg32 - the only antennas I know of that have two coax cables are satellite antennas, and the Winegard batwings use only one. So your second coax is a mystery to me. Question; Are there two cables on the roof, or only on the inside of our RV? If there is only one on the roof, then there may be a splitter between the roof cable and the interior???? Thanks for clarifying the extra cables Don. I have used a splitter to connect the out to tv coax to the main tv, bedroom and external (outside tv connection). I did upgrade my antenna head to Winegard 205.... So do I disregard one of the cables coming from antenna and only hook the one with continuity to the booster? ferg32 - This happens a lot when the previous owners take the electronics out of the Rig. First of all, your Video cables are all going to be coaxial, and it looks like you have found the important ones. A typical TV antenna in 2000 would be a manually operated Winegard "batwing" design. It would have ONE coaxial cable that does two things. One, the booster you added in your Rv would provide 12-VDC to the amplifier built into the antenna, and second, this received/amplified signal would be returned to your booster and then your Video selector box. If your antenna is older than 5-7 years, you should replace it with a newer one which has a new bandwidth for receiving then new digital TV formats. A video selector box allows you to connect your campsite cable signal and your TV antenna signal, and your DVD player inputs to any of your different TV's. Some older campers will just tie all of them together with a "splitter", but if possible I think you would prefer upgrading to this box. Good Luck with your upgrading. Hello new here looking for help I'm remodeling a 2000 Itasca Class C all of the tv cable wires were disconnected when purchased I have tracked the main tv, external tv, bedroom tv and main cable in from antenna, but there are several other cables I have no clue what they are for? All the cables do have colored tape around them at end ie... yellow, blue, green etc... I installed modern booster in the wall and connected it directly to roof antenna per instruction the question I have here is there were two cables coming from roof so I selected the one with continuity to antenna and connected it to booster where does the other cable go? There are other unconnected cables run in the bulk wiring is there any reason for that? Sue Kasper - First of all, your Audio problem. Your newer TV should have a separate Audio/Video output connection. Connect this to one of your inputs on your Surround sound system (AUX ? ), and then your surround system would work with either one or the other input. Second, if your RV still has its original TV antenna (Winegard "bat-wing" ??) it probably is not compatible with digital TV signals. So, I would watch Camping World for a new HD replacement head. Replacing this ( and getting rid of your Analog-to-digital adapter box) would give you more channels and clearer channels. We have a 2006 Alpenlite 5th wheel and plan to keep it. We bought a digital TV a couple of years ago and use it with cable TV provided in campgrounds. We have found that the surround sound works when we watch DVDs or listen to CDs, but the surround sound system doesn't work when we're watching TV. Do we need HDMI cable to get surround sound on the TV? Fifth Wheel Dan - Ok, first of all, most travel trailer and fifth wheel camper manufacturers do not putt an Audio/Video Selector box into their units. It is cheaper for then to connect the TV antenna and the Cable input connection to one selector switch (usually automatic. This is the cheapest way for them to provide signal to all of your Tv's. In a motorhome, they usually put a coaxial selector box which takes multiple coaxial inputs (Antenna, DVD, Cable, etc.) and routes any of them to any of your Tv's by using push-buttons on the selector box. But, today, with your TV's all having an additional HDMI input or two, and your cheap DVD player not even having a coax connection but only an HDMI output, the task gets harder. So, one of the answers for you, is NO, you cannot mix multiple signals on the coax cable. 1- You can trace those coaxial cables and add longer cable to each one which you run to a new video/audio selector box for some more flexibility. 3- Set up your own internal WIFI system for your RV, and replace your TV's with "Smart TV's" that are WIFI capable. Sorry, but these are your best choices. I was wondering in our new 5th wheel we have hook up locations for three internal TVs and One external through coax cable. I was wondering if in the main room at the entertainment system if I was to put a splitter that would take our DVD player they can run by station and put a RCA to HDMI converter for an RCA to coax cable converter in line between our DVD/radio controller that is pre-mounted in the RV underneath the TV would I be able to at that point split signals from one television set to the other meaning if I play the DVD could I send it into the bunkhouse where the kids TV is mounted while continuing to watch a different program on the TV up front for example football or something? Or does the coax jumper that comes in from the antenna on the roof into the cabinet where the TV is mounted does that one system act as a distribution point and send all of the TVs the same signal from that one line? Larry Nielsen - Yes, it is possible to upgrade, but I suggest that you break the work down into a list of what you can do and what you will need someone else to do. For instance, the very first thing you can do to improve your TV signal is replace the TV themselves. BUT, make sure your new TV's have at least 2,3 HDMI inputs and that they still have the standard coaxial input. This by itself will improve your picture quality. Next, if your crank-up antenna is more than 5 years old buy a new one because the new one will have a wider bandwidth amplifier that will give you the new digital channels with a stronger signal. If you have some mechanical skill, you can even open up the cabinetry and install larger sized digital TV's. With just these changes you will have better signal, without a lot of more costly work. At some point, you will want to go to HDMI cabling to both TV's. When you do this, you will also want to upgrade your satellite antenna and and receiver as well as your DVR. On the positive side, DirecTV will upgrade your receiver to their new one with their builtin 1-T-Byte DVR storage. If you have more questions, question me on my rvandcamper site. Nice write up and comments... My 2001 coach has a self-aligning satellite dish plus an old style crank up analog antenna... A direcTV receiver with analog output... An analog switch box for selecting front and rear TV source, DVD player, etc... Pre-RG6 cabling (RG5?) throughout, two analog RCA TVs... Would like to upgrade all to HD digital, flat screen... Possible or no? D.J.Ammons - Not sure where I'm wrong because the standard and highest selling HDMI cable is the 6-foot. ANd, Of course there are longer ones available but they are artificially priced much higher than the actual extra materials justify. And of course, even they need boosters after you get to a certain length. I should update this hub though because the simplest thing to do is go with your own RV WIFI. Great info but not correct about HDMI cables being only 6 feet or extended with 6 feet. HDMI cable can be purchased in many lengths and no repeaters are needed for at least the first 25 feet. For the longer runs it is better to have a better quality cable. There are HDMI cables that are rated for in wall installations that would be the best for RV use. I have a 25' one run for my ceiling mounted projector in my home theater. Pat- I hope I was of some help. And Jayco is a quality company with a long reputation of helping campers with any problems they may have. Good Luck and enjoy your travels. Thanks for the information. Will check with the manufacturer. Live near original Jayco manufacturing facility. They are extremely helpful. Or can steer me where to go. Thanks again. Pat. Being a 2010 model you campers antenna has a god chance of being a digital version. I assume that it is the popular "batwing" model with a coaxial cable output. That cable should bo into an amplifier box the size and shape of a home receptacle. If this is so, the amplifier box also could or could not be digital. The cable from this box then probably goes to a TV/Video/Audio distribution box. This box also has an amplifier that could or could not be digital. If this box does not have HDMI connections on the back but has coaxial connections, then you can do several things. First of all, the digital versions of all of these amplifiers have a wider bandwidth and allows certain digital channels to pass through and be amplified where the older analog amplifiers would not be as efficient for these "digital" channels. So, the first thing I would do is go to your RV parts dealer and check if he has a box that will convert your coaxial signals to HDMI technology, and add it at the HDMI input of your TV. Option 2 is to get a new distribution box that has HDMI outputs. But, be careful, this means that you will have to install new HDMI cables to your TVs. I recommend the converter box as the simplest "fix"until you trade for a newer camper. As to the other "amplifiers"? Well replacing the Antenna to a newer one with a newer digital amplifier in it is not too expensive and will give you more signal as will replacing the in-wall amp. Good Luck and I hope I helped. And then there is WIFI! I won'teven go into this option. lorilynn- First of all, I have seen campers (owned by Canadians) with Bell satellite antennas, so, I assume theyare using that service. One other thing though, I was in a Camping World store last week and I saw a display by DISH. They had a special package for Rvers. You could buy the Dish receiver for $99, and then sign up for their service. The good thing was that you were allowed to turn the service ON and OFF whenever you needed. SO, No traveling, no bill! This might be worth looking into. Of course, there is still the need for a compatible antenna. I do know that some Sat. Antennas work with multiple systems but I am not sure which. I would write down the specs on your existing antenna, and call DISH tech people. mperrottet- My Motorhome had a dome antenna also and over the last few years, I have become very frustrated with the arrogance of both DirecTV and Dish when it comes to their concern about existing customers and their problems. In today;s world of satellite service, I would look at having a quality powered dish on top rather than any type of dome. This is mostly because of my lack of faith in their future concern. Let's just say that my wife and I crossed the country several times in our motorhome and I could write a scathing article on how poorly we were treated by them. Being older and with both of us having health problems, we no longer have our Motorhome and now own a nice 5th wheel. Our decision has been to not even tow it ourselves, but to have it moved for us every years or so to a new site, where it will be our second home. Anyway, I am presently looking at a satellite solution for us that will fit our new lifestyle. When we bought our 2007 Rockwood, we bought a King Dome which at the time broadcast Direct TV HD signals from three of their satellites. Unfortunately, Direct TV changed the HD satellites to two new ones, which our King Dome was unable to receive. At this point, we're not going to invest in another expensive piece of equipment, so I guess we're stuck with standard definition even though we have HD TVs. You've written a very helpful article for those trying to figure out the mysteries of electronics in RVs. Voted up, useful, and interesting. henry- thanks for the read and the comment. I have a used 5th wheel that I ma in the process of upgrading at the moment and I am re-looking at the whole RV/TV world today. I will probably re-write this Hub shortly because of the technology improvements as well as the lower costs. OK, If I assume that the only thing you changed was the TV, and all cables are the same, and if I assume that you received color with your old TV, then the problem, obviously has to be the new TV. If it is a digital TV, and are receiving only B/W then it is definitely the TV and/or it's setup because a digital TV will not go to B/W with a weak signal. It will either have signal enough for a color picture or it will have NO picture. I purchased a new TV for my RV and it plays fine. My issue is that when I try to play DVD's, they only come in black & white? I've tried different connectors but, no luck. Does anyone out there have the answer for me? Jeff- I am so glad that my Hub was of some help to you. I hope you are able to enjoy your Rv as you travel and camp the USA. great video don. thanks so much for helping me built up to the install. I picked up a nice 12volt-travel tv and now have it installed. thanks again for making it so easy. Gary- For a new Video distribution box, I recommend that you go to CampingWorld. I remember seeing a nice HDMI box there. I think it was a 3x5, and it was nice and compact. Check one of their stores or their web site. Sorry, the new TVs are digital. I also installed a new distribution box. I can't get a good picture on rear TV using the DVD player. Paul, Not a lot of info here, but first off, I am assuming that your new Flat panel is a digital TV (LCD, Plasma, LED, etc.) and being so, it is probably HD. one thing I tell people that are upgrading their RV is that you should make sure that your distribution box is not an old one that does not have the bandwidth for receiving the digital channels. That also goes for your roof antenna and the little hidden booster circuit on the back of the coax connector where your cable signal comes into your RV. If you have an older Rv, all of these are set up for the old ANALOG signal bands (VHF) and not for the HD receiver channels (UHF). I suggest that you check these first. I installed flat panel tv in bedroom. Just an existing coax cable to hook up to tv. I have DVD player in front hooked to distribution box. The picture on bedroom tv is very fuzzy. Any suggestions? Robert, If i understand you right, your site doesn't have a clear shot for your Satellite to pick up signal, and you are using their cable connection? IF this is the case there can only be one of several problems. 1- Your "Cable input Line" has a bad connection between the exterior connector and your Video distribution box. 2- Their Cable signal at their box is too weak, or 3- their cable connection at their box has either a bad connector or it is oxidized and needs to be cleaned. Whichever, you need more signal to your TV. If you are there for only a few days or so, what I have done in the past is run long cable directly from their box through my RV window, and directly to the back of the TV. Mark C, reasonable price might be the problem. First, I would contact customer support for several of the major manufacturers for a pre made. Also, if you are a project guy, like me, I would draw up a concept drawing of a wooden and a metal version. If you think about it, it is really just two plates thatbare hinged together. One plate has to distribute the weight over your ceiling, and the other has to mount to the holes in your TV. Then you just needvthe right hinge, and a stable strong latch system for hoof ding the assembly closed during travel. When you take something like this to a true woodworker or welder, I have found that thevcurious ones, like all of us, loves a challenge, and will come up with something interesting at the least, and sometimes cheaper than a manufactured unit. Just a thought. I have seen them in Marquis and Prevost rigs, among others,nalong with a homemade wooden one in a Fleetwood. Good Luck! Where does one find a "flip down" mount that is reasonably priced? I want to mount a 42" LED to the ceiling in my RV. Don, your explanation and descriptions were easy to follow and I suspect about anyone could understand them. And your feedback to my email caused me to rethink my new entertainment system. Thanks very much for the sound advice. I will be following your Hubs! Howard, Yes IF you have a Digital to Analog converter box to install at the input of the old TV. Often these converter boxes even provide some digital signal amplification, so try it before you upgrade your TV. I assume and recommend that you do upgrade to a digital TV eventually. The difference in picture quality will be well worth the expense. We have 2011 Rockwood Roo TT with the roof mounted crank up Winegard antenna you describe. In order to get TV reception do I need to use a mosern digital TV or will a 20 year old TV work with current TV technology?